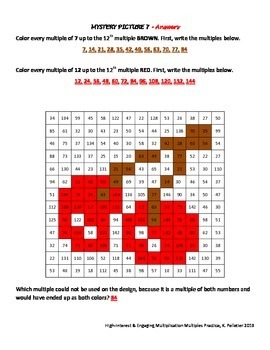 Entice even the most RELUCTANT students to practice their multiplication with these highly-engaging Mystery Pictures. 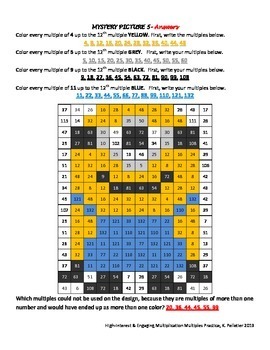 Great for homework OR great for substitutes! Mystery Pictures are fun and relevant and include characters from favorite movies/video games like Despicable Me, Monsters University, Angry Birds and more! Students will enjoy spending time writing out their multiples and concentrating on recognizing them just to solve the mystery picture! Talk about trickery! This is a homework assignment your students will ask you for! 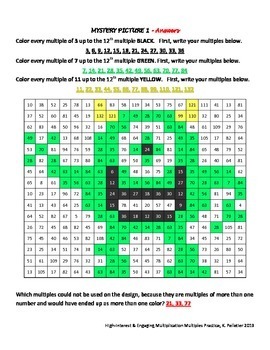 Use these activity sheets and your students will have better multiplication fluency (through 12) and will more easily recognize multiples of a number… a skill necessary for future math success. My own 6th grade daughter asked me if she could do one when she saw me making them! When students don’t have their multiplication facts memorized frontwards and backwards, it impacts so many other important concepts in math like division and fractions. If you’re tired of unmotivated students not practicing their multiplication facts at home, and tired of spending time in class practicing when you should be teaching the curriculum, then you need these 10 Multiples Mystery Pictures. You get 10 Multiples Mystery Pictures: Use them 1x a week for 10 weeks, 2x a week for 5 weeks, or as you wish! My grade level does Mystery Mondays. Tip: Start the first one with your students... to teach them the most efficient searching strategy. 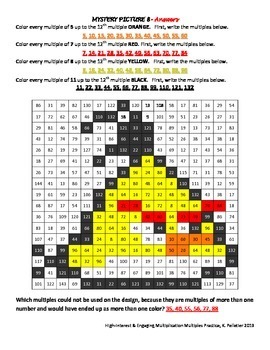 Teach your students to write the multiples out for the first number/color at the top, then search the puzzle for JUST that number (like a word search -left to right, row by row…). Then move on to the second multiple number and again search the puzzle for JUST those multiples. Students who jump around will have a harder time.